Mitch Easter’s name suits him well. His records are obscure, hidden in record shops all over the world like so many Easter eggs. In the ’80s, he fronted the North Carolina-based jangle-pop outfit Let’s Active, and released an EP and three full-length records. 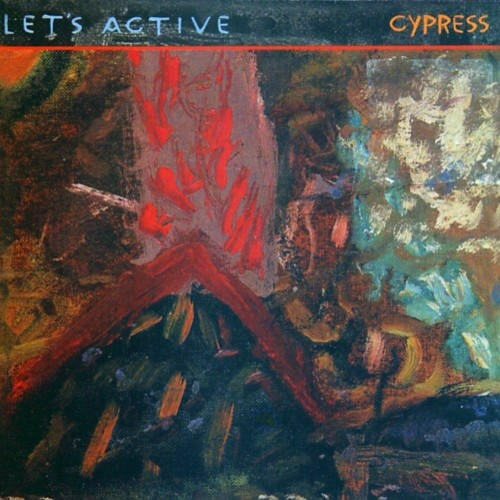 While iTunes and eMusic offer a few isolated songs from my favorite Let’s Active record, Cypress, in their stores, those songs only represent a few eggs from a bigger basket. Where candy was involved, I was greedy as a child, and where music is involved now, I am greedy as an adult. I want to hear it all. I want to fill my brain with Mitch Easter’s ear candy. After searching for some time, I once walked out of Lawrence’s record store, Love Garden, with copies of the band’s debut EP, Afoot, and the two LPs that followed – Cypress and Big Plans for Everybody – in a paper sack under my arm. I only could have been happier had those records been edible, or had Love Garden nestled them down in baskets filled with Easter grass. In doing so, I emailed Mitch Easter himself, thinking my chances of receiving a reply from him would be slim at best. But he wrote me back within a matter of hours, and an interview followed. I did not want to ask him 2 million questions about what it was like to produce R. E. M.’s first two records with Don Dixon, or what it was like to work with Suzanne Vega or Pavement or Velvet Crush. Well, let’s be realistic: I wanted to ask, but I didn’t want to be a nuisance. There’s a fine line between mere enthusiasm and grating obsessiveness, and I straddle it daily. So we talked about Cypress, and the state of the record industry, and his favorite guilty pleasure albums. The setting: Cyberspace. The players: Mitch Easter and I. (Me) Have you listened to Cypress recently and, if so, what’s your reaction to it now, 27 years after making the album? 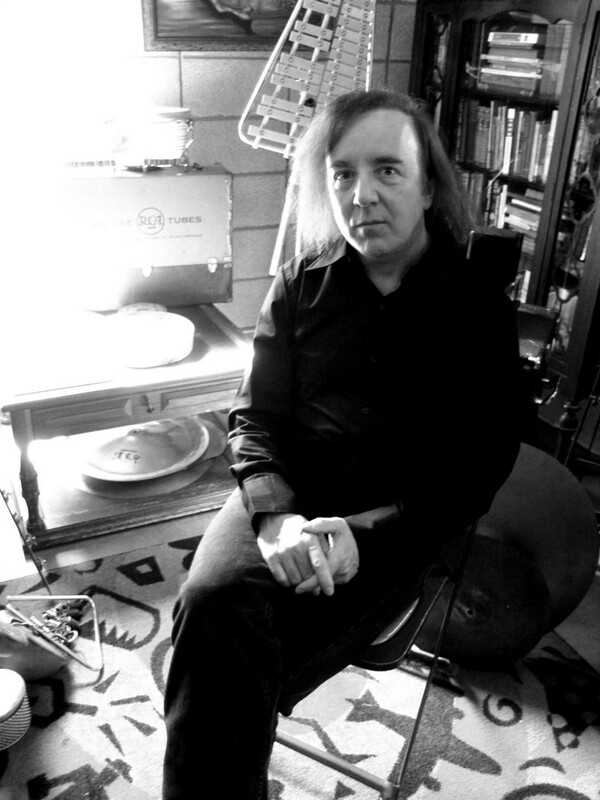 (Mitch Easter) I haven’t heard it in a while, but it wasn’t too long afterward that I’d hear it and think, “That’s strange.” I mean it’s not strange strange, but I did enjoy the fact that once I could hear it sort of as any listener would, it struck me that it was definitely its own thing. I mean, I don’t really think there was another band that sounded like that. Not that it’s all radical or anything – I just mean that I was pleased that we seemed to have a Sound, such as it was. It was also what I think of as a Proper Session – that is, we all played together, worked quickly, and had something of a real group enterprise going on. Of course there were overdubs, but the foundation of it really is a band playing. Which, in theory, I still like best! If I may ask, why is the album titled Cypress? We liked the word, and the tree! They grow in swamps, but they’re also a traditional graveyard tree. I think there’s some symbolism attached to them in that regard, but I can’t remember what it is – probably “eternal life” or something. We used to like to take walks in Salem graveyard here. Probably that’s why we were thinking about them – they’re nice trees! So as far as it concerns us, no meaning at all except we liked cypress trees and the sound of the word. Maybe an even bigger question is … what does the band name “Let’s Active” mean? It was from an article by James Fallows, in The Atlantic Monthly, I believe. It was about the popularity of English is Japan, on shirts, store banners, etc. and there were a number of head-scratching examples. Doubtless, “let’s active” was meant to suggest “let’s go” or something similar, although, who knows. What cultural (books, music, film, etc.) and experiential (life events, personal realizations, etc.) factored into the development of the material on Cypress? I wish I could remember! I do remember reading A Confederacy of Dunces in the early ‘80s and just loving that book so much. And not too long before doing Cypress, Scott Miller was here mixing the Game Theory Real Nighttime record, and I remember reading Stephen King’s Misery during that! Not that the session was at all miserable, mind you. I don’t know, I think I was pretty happy that we had a band and were getting to do something real. In a previous email to me, you referred to Let’s Active’s records as “antiques.” Do you say this because you’re no longer making music that quite fits this songwriting “model”? That is, is this an older version of you that no longer exists? Or is there something of a continuity between the works of yesteryear and your more recent material? I think I can refer to our records as Antique Recordings because they are old! Nothing more. When I write songs now, they are sort of the same thing. You can’t really escape yourself, and one is almost always wrong to think “Now it is the Year XXXX, and therefore I must write X kind of song!” It doesn’t work for me to be terribly deliberate about this. Whenever I’ve tried to write a “kind” of song, it’s usually no good. So I resist a lot of the standard rock analysis that tries to explain songwriting as though it’s this deliberate thing, related to the Moment in Culture, etc. For me, the only deliberate part is Trying to Think of Something. People do write songs that are a sort of homage, of course, but that’s tricky territory, and the results rarely feel exactly real, you know? I suppose I do that to a small extent but only like, say 15% or something! It’s fun to be inspired by an idea or a sound or a song, but in the end a song is just what it is, and I find that all to be sort of mysterious. What kind of musical influences shaped your production style? Cypress is such a pristine recording, in my estimate. I love how all of the disparate instruments remain separate while intermingling with one another. To me it’s like listening to a musical spider web being woven in real time. Why, thank you! I think in the earliest songs I tried to really write for the 3-piece band – with these busy bass parts – and generally we played sort of like 3 monophonic instruments a lot of the time. It wasn’t always real “chordy,” it was even sort of contrapuntal sometimes, although on Cypress it’s maybe a little more conventional. But there is a sort of busyness to it which seems to make people think there’s more on the tape than there is! Pulling off that kind of illusion makes you something of a musical magician, I think. I love your approach to production, really. Did producing R. E. M. with Don Dixon influence how you approached your own songwriting or the production of Cypress? Nothing deliberate. I think when you work on any recording, it’s a combination of everybody’s instincts, abilities, and tastes, and you just make a sound. I’m sure there are things I like the sound of that I want to do over and over, but I don’t think of it as a Bag of Tricks. It’s just a case of Feeling It, I hope! I cannot find the lyrics for Cypress anywhere – not even on omniscient Internet. Are they available somewhere? This reminds me of the old days when fans had to really listen to records to figure out what a band was singing about, and what they meant. If you have a copy of the album lyrics handy, I’d love to see them. If not, I guess it will remain shrouded in mystery forever and ever, Amen. We wanted I. R. S. (Records) to put in a lyric sheet because people asked for it, plus you’d always see the wrong words dissected by some imperious rock critic … they said no and we said we’d pay for it, and they still said no. Such were the trivial power struggles that prevailed! I don’t suppose those words are online anywhere, so I should do it. Definitely a project to work on during an ice storm or something! I can’t believe I. R. S. wouldn’t let you pay for it yourselves! It really is like the opening track of your Afoot EP: “Every Word Means No!” Ha! Are there huge amounts of unreleased Let’s Active songs in the vault, recorded during the hiatus between Every Dog Has Its Day and Dynamico? Please say yes. Some! I have old tracks that I might use someday, and some not-so-old ones. The painting on the cover of Cypress is attributed to you – what inspired it, and what relationship does it have to the music on the album? Well, it was attributed to me “some two decades ago,” which meant when I was 8. The use of “some” was a sort of in-joke we had at the time about how pompous that sounded. Anyway, my mom painted, and it was just a fun little kid thing of trying to paint something, too. Not that I can. Ha! I’ve always like that painting – I think your 8-year-old self did quite well, actually. You fooled me! I’m always curious about an artist’s assessment of the changing nature of the music industry considering the advent of the digital download, the era of Pandora and Spotify, the revival of vinyl, etc. What are your thoughts on the current state of popular music? Do you see opportunities for yourself as a musician and producer that were not there before, or more hindrances? The Traditional Record Business had it coming. They built up a lot of ill will for various reasons among consumers and artists. Nevertheless, it’s mostly terrible now because nobody can make any money. If you can’t make any money, the only people making music will be rich kids. Getting a record deal in the old days was like getting a scholarship – somebody thought you had something and gave you a chance. Who says that everybody should put out a record? So the whole thing now is huge and vague. Check out how many plays you need on Spotify to make $1.00! Don’t get me started on the fabulous new technologies that let you Make Your Own Record Yourself, For Free!!!! Most of that stuff sounds terrible, which isn’t helping anybody. This brave new world has been sold as all democratic and fast and universal, and that may be true. But it’s not producing ultimate satisfaction in music land, I don’t think. But it’s OK. I suppose it will just settle into something eventually. I don’t know anybody making money anymore, and that is a real struggle. At my age I can’t get another job! And last year the studio business just didn’t exist. But this year I’m busy! So, who knows. People will always make music, but this new situation is not better on a day-to-day basis, so far. In an interview with St. Louis’s Riverfront Times, you say you “would have been perfectly happy to have recorded Bon Jovi in the middle of doing … hipster records … Because (you) just like music. But you almost have to keep your mouth shut about that, because a lot of people don’t want you to be very versatile.” Well, I am very much in favor of versatility. That being said, what are some of your favorite guilty pleasure records that most people would not imagine you would enjoy? Oh hell, I have a million of them! I remember just utterly grossing out (Let’s Active drummer) Sara Romweber because I had bought We Don’t Talk Anymore, by Cliff Richard, back when it came out. Ha ha! I just thought it was really catchy! To come up with a list would probably involve sitting around and talking about this while drinking. I love a lot of the bubblegum hits of the early ‘70s. In fact, I recorded a version of “Gimme Gimme Good Lovin,’” by Crazy Elephant, because I love it! I also totally dig the sort of metal-gum as practiced by The Sweet. I just appreciate well-done music, and “well-done” can be defined a million ways. A film teacher of mine attributed this quote to acclaimed film critic Pauline Kael – “I like lots of movies, and some of them are good.” I love that. I think that applies to music, too. One of my formative records was actually Bon Jovi’s “Livin’ on a Prayer,” which is, well … hair-band music. I would’ve loved to hear a Mitch Easter-produced version of that. Ha! Did you find The Someloves, or did they find you? I love that album, Something or Other. I think I was contacted by Darryl Mather, and he and Dom came over and we mixed a single and then they came back and we finished that LP, which had been started in Australia. Many of the bands you produce share similarities in their sound. Is this due to your involvement, or do they choose you because of your previous work? I think there’s useful typecasting that goes on with this kind of activity. I mean, it’s generally useful in that I can usually grasp what these bands are doing although now and then it’s unfortunate because people may think you mold everybody into the same thing, an idea which is mostly stupid because you can’t do it! You work with what’s presented … and from there it’s just a matter of what occurs to you, which must come from your accumulated memories and everything else. Hell, I don’t know, I just turn knobs and hope for the best! What’s the weird stuff in the background of R.E.M.’s “Camera”? I don’t remember, I’d have to listen to it again. I’ll get back to you if I can check this out! My perennial listens of the recent era are the Soft Machine 1st LP and Volume Two, Two Suns by Bat for Lashes (Natasha Khan is my favorite current-era star), and this super-great Rhino set of ‘60s L. A. rock called Where the Action Is. And then I’ve been listening to some things from around 1979, which in my mind was the Official Pinnacle of Rock Recording, sound-wise. So, things like “Run Like Hell” by Pink Floyd, and XTC records of that time. Thank you kindly for allowing me to pick your brilliant brain, good sir. May peoples’ ears continue to benefit from your work for years to come. Previous postInternational DJG Day Coverage: Enough Content to Capsize the Continent Next postNow at Prime Parents Club: CTJ’s Retrospective Review of Let's Active's "Cypress"